A brand mascot is an embodied personification of the values and qualities of a particular brand identity. Brand mascots have long been used as a means of engaging consumers and of differentiating products in the marketplace. Featured in advertisements since the late nineteenth century, brand mascots have become an integral feature of consumer culture and are now beginning to develop an online presence in the world of social media. 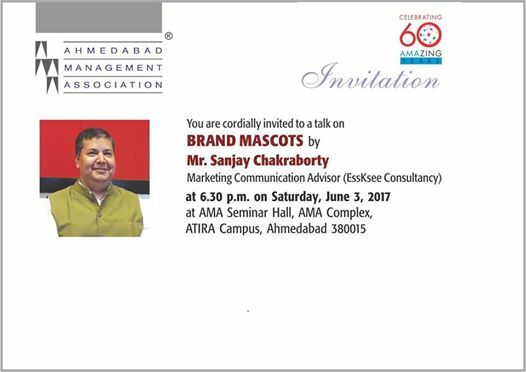 To know more about it & to have an interesting interaction on this subject, you are cordially invited to attend an evening talk organised by AMA on June 3rd,2017 at the Seminar Hall, Ahmedabad Management Association.